Son of Stanley Jackson, and of Daisy Elizabeth Jackson, of Willesden, Middlesex. Buried in REICHSWALD FOREST WAR CEMETERY. Reference : Coll. Grave 22. A. 8-12. Son of Albert Peter and Muriel Emily Jackson, of Newbury, Berkshire. Previously he flew Stirlings with 214 Squadron. Jake volunteered for the RAF aged 18 and was accepted for air crew. He first flew in 1944 on Ansons while training. 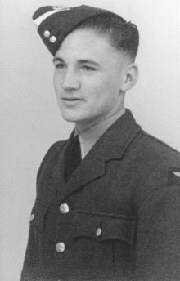 He passed out as a Sergeant and was posted to 214 Squadron flying as a gunner on Fortress aircraft, on decoy raids over the continent. Half of the crew were from Canada. He started as a waist gunner then flew as a rear gunner. When asked what it was like to fly over enemy territory in wartime Jake said " We were scared but we did it". While at RAF Foulsham in Norfolk Jake met and fell in love with a motor transport driver named Gwe. 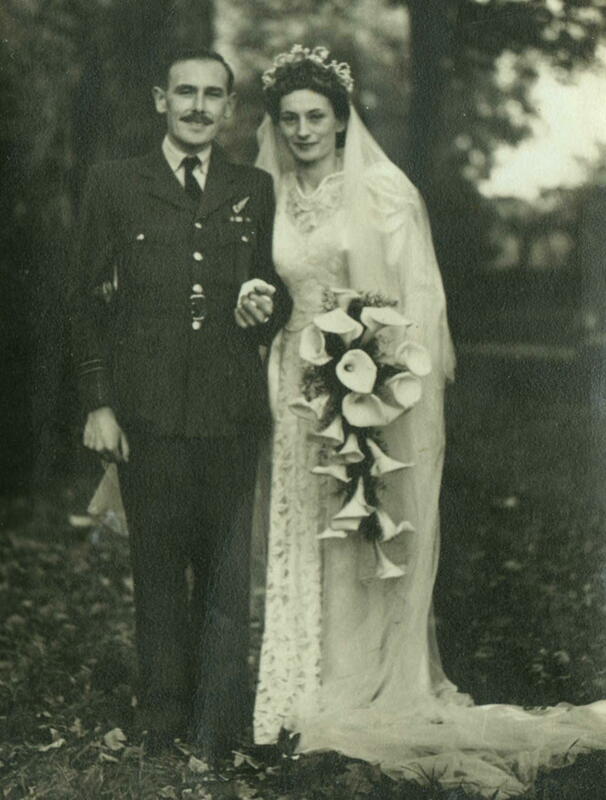 They were married in St mary's Rickmansworth just after the end of the war. In those days clothes were rationed and a wedding dress was hard to come by, but as Gwen worked at MGM she was able to get married in a dress worn by Margaret Lockwood in "The Wicked Lady".After being demobbed he got a job as a clerk with Penman Jones solicitors and was offered articles. He qualified six years later and after a while he was offered a partnership. Eventually he became one of the four senior partners. He retired in 1988. He was appointed Chairman of the South Eastern Legal Aid area and sat as Deputy Registrar at the local County Court. Buried in HEVERLEE WAR CEMETERY. Reference : Joint grave 3. E. 17-18. I have just confirmed story from my grandmother about one of her brothers who died over France in 1919. His name was Hyman Louis Jaffe and was killed with three others flying over France in 1919. Son of Arthur and Alice James of Northampton. Husband of Winifred. 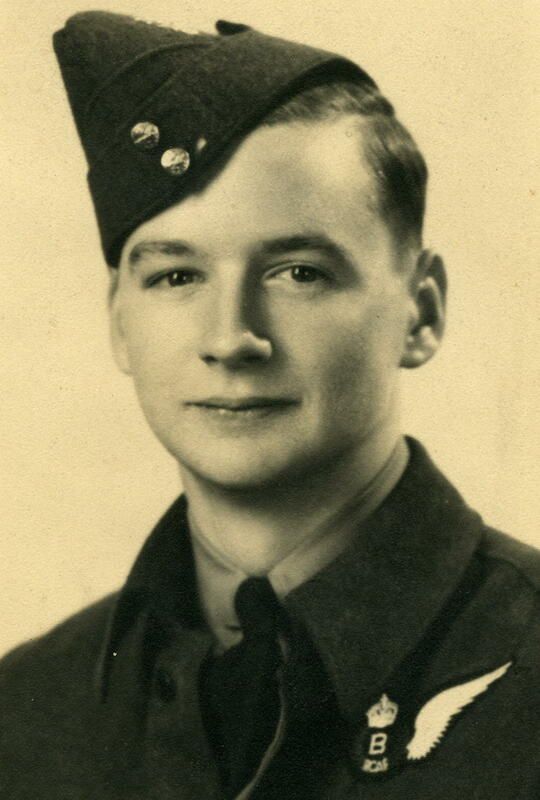 Ronald joined the RAF in 1942 and completed two tours of operations, firstly with No.90 Squadron as a mid upper gunner on Stirling Bombers in the crew of Bill Day, DFC. He then moved to No. 214 Squadron in 1944 where he flew on B-17 Flying Fortresses as part of 100 Group special countermeasures operations. At the end of the war he was posted to the Dutch East Indies where he helped with the release of prisoners of war and internees held by the Japanese in the prison camps of Java. After this he left the RAF and returned to Northampton, working in the commercial side of engineering and owning a transport motel. He then fulfilled his lifelong ambition of owning a bookshop which he ran with his son Steve. He was a keen amateur historian and much of his retirement was spent writing. 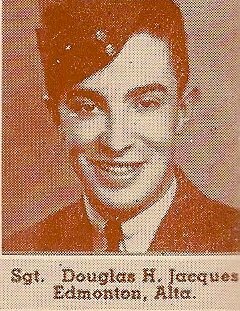 He collected a great deal of information about the squadron with the help of Flt/Lt David Rurherford-Dickson, whose wife, Rosaleen organised the material including many photographs into a book that was named 'Avenging in the Shadows',published in 1989, with Ron 'Jimmy' James listed as the author. Ronald also wrote several other books which he was not able to publish before his death. Fortunately his daughter, Elizabeth, published these for him in 2013 and they are now available from Amazon. One book entitled 'I Was One of the Brylcreem Boys' (isbn 9781481089593) is an autobiography of his experiences in the RAF and it refers to the time he spent in No. 214 Squadron. The other titles are 'Mercy Mission to Java' (isbn 9781481895477) and 'Winged Words' (isbn 9781482579796). He died on 9 April 1995. Son of Evan Rhys James and Lily Maud James, of Gabalfa, Cardiff. Flew with WO Edwin Barnett. 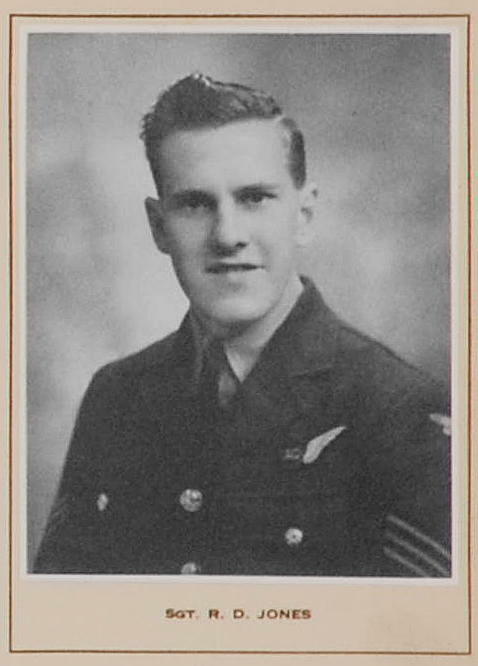 I believe Bob Jarvis & his family (wife & 3 or 4 daughters) later emigrated to Australia upon retiring from the RAF. 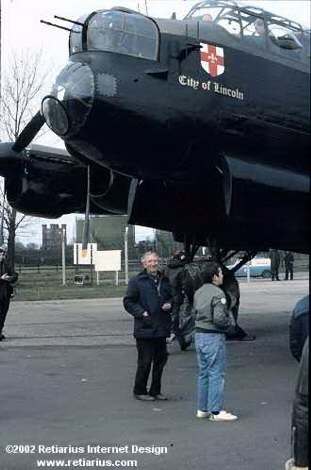 Reginald inspecting a Lancaster at RAF Coningsby 1985 Reginald Jeffcock served with distinction during the Second World War in the RAF. 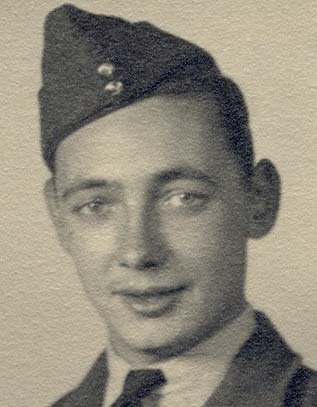 He completed 48 operations over enemy territory, including 21 missions to heavily defended Berlin, flying as a bomb-aimer in Lancaster bombers in 49 Squadron, 15 Group and, following a period as a bombing instructor, as a radar counter measures operator in B17 Flying Fortresses on special operations with 214 Squadron, 100 Group. 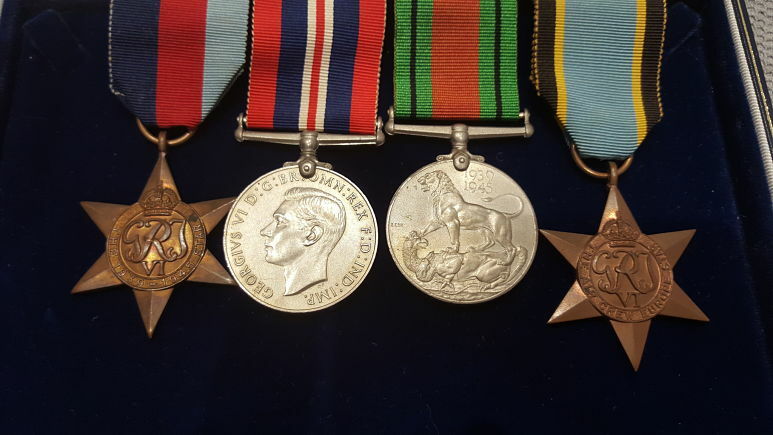 For his dedicated service he was presented with the Distinguished Flying Medal, on the morning of VE Day, by King George VI at Buckingham Palace. 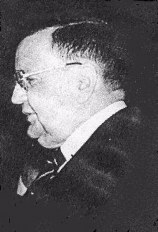 After the war he married and made a successful career as a sales engineer working for several Sheffield and national-based companies. Jeff was a keen and gifted artist, capable of fine works in water-colour, oils and pastels and was a founder-member of the Buxton Arts Society. He died on 14 January 1995, aged 71, at Chapel-en-Frith, Derbyshire. He was a resident in Chapel since 1981 and was survived by his wife Jessie, sons Timothy, Andrew and Steven and granddaughter Emma. His brother, Donald, sadly died in 2004. Sqn/Ldr S R Jeffery of 214 lost his parents at a young age and attended boarding school as a result of this. He was recognised to have good academic skills and was selected for a boy apprenticeship at RAF Halton. Once again his academic ability was recognised, and he was selected for Officer training and Pilot training. Whilst training he had elocution lessons. Once an officer he was assigned a batman. Among the early aircraft he flew were biplanes Sopwith Camel and The Tiger Moth. In 1935 he flew biplanes patrolling the river Nile during the Abyssinian conflict with mounted guns. By the late 1930's he had qualified as a Pilot, qualified navigator, and trainer pilot. Throughout his flying career he flew many different aircraft including many Bomber aircraft including Wellington, Lancaster, Blenheim, Stirling and the B29 Flying Fortress loaned by the USAF. As a Pilot on 2nd Op of Plt/Off Bill Foskett per his log of 25 November 1943, Bill amusingly remembers Sqn/Ldr Jeffery as being a chain smoker who smoked steadily for 6hrs of an 8hr Op. Having completed 30 Bombing raids to Germany he was then grounded and spent the remainder of the war training pilots in flight and navigation. After WW2 "Roly" as he was affectionately known by his colleagues worked in air freight for Skyways and for Flight Refuelling LTD where he was a true pioneer of flight refuelling, in a converted Lancaster. He was killed when he was the pilot of his own crew. 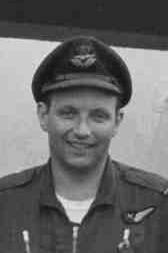 He was again part of an aircrew to be seconded to 15OTU for 215 Squadron on 11 March 1942. Buried in LUTON CHURCH BURIAL GROUND. Reference : Sec. 3. Row O. Grave 29. Ted Jenkins' mother and my grandmother were neighbours and very good friends, the loss of Ted was hard for all family and friends. I was eight years old then and can remember seeing the Union flag draped coffin being brought into All Saints Church in Luton for the funeral. I also think that Ted, at the time, was engaged to Mary. This picture of Ted comes from a family collection, I hope this picture will add to the 214 archive and be seen by many on the website. 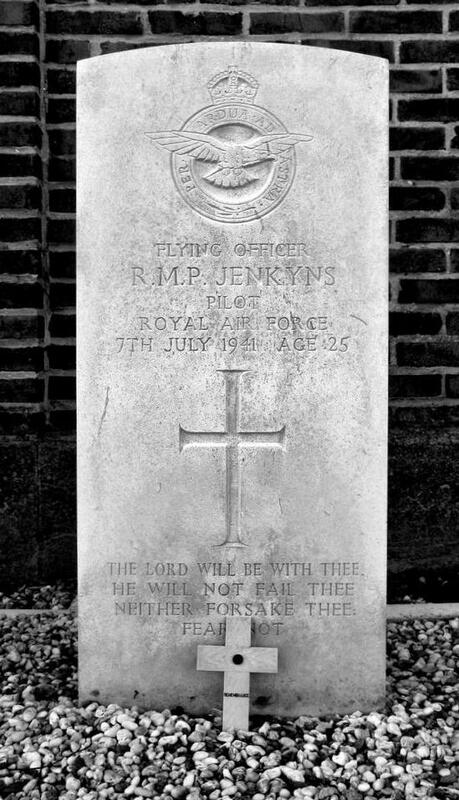 Pilot Office Jenkins was originally buried in Evangelical Cemetery near where the aircraft crashed. His remains were removed to Rheinberg War Cemetery in 1945. Son of Reginald Richard and Julia Gladys Jenkyns, of Swaythling, Southampton. Buried in CHALONS-EN-CHAMPAGNE EAST COMMUNAL CEMETERY. Reference : Sec. I. Coll. grave 1591. Son of Roland Bingham Jennings and Florence Amelia Jennings, of Hall Green, Birmingham. W/O Jennings was the only crew member from Fortress BU.B to bail out and evade capture. Taken originally to a German run hospital with shrapnel in his leg he managed to escape later disguised as policeman with the help of the Dutch Resistance and return to the UK. He was later awarded the DFC which was Gazetted November 1944. In later years he became a Minister in the Canadian Church. Home in Elmsdale, Nova Scotia; home there. Enlisted in Halifax, 31 March 1942. Trained at No.5 ITS (graduated 10 October 1942), No.1 BGS (graduated 23 December 1942) and No.1 AOS (graduated 5 February 1943). In air operations Warrant Officer Jennings has displayed courage, endurance and devotion to duty of the highest order. 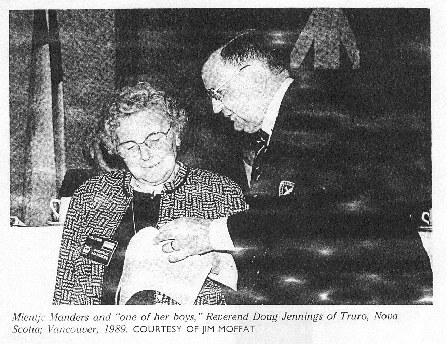 Picture of Doug in his later years, reunited with Mientje Manders, one of the Dutch resistance fighters that had helped him escape the Germans. Photo is from a book titled "The Evaders" true stories of downed airmen and their helpers in world war 2. Published by McGraw-Hill Ryerson of Montreal Canada. Authors Emmerson Lavender and Norman Sheffe. Flt/Lt Leslie Fowler and FS Jennings were the only ones to survive the crash. Fowler was wounded and taken to a hospital by the Germans. He died on 15 March 1945 and was buried in Zuidlaren General Cemetery. Jennings spent the rest of the war in POW camps. No POW number listed. No POW camps listed. Also served with 76 Squadron, where he was awarded DFM, reported in London Gazette 30 June 1944. Son of Gordon Charles and Ida Louisa Terrard, of Walthamstow, Essex. Served with 214 Squadron from March 1943 as a bomb aimer on Stirlings, completing a full tour of ops. There is more information on the crew record for Stirling ??Dixon. Sqn/Ldr Fielding Johnson, Johnson who was with "A Fight" 214 was the oldest rear gunner in the service 40/41. He was a London MP. and also served as a Navigator gunner in the 14/18 RFC. Son of Lawrence George and Hilda Mary Johnson, of Darlington, Co. Durham. Born in 1914. He was a newsman in Minnesota. Enlisted in Toronto, 24 October 1941. Trained at No.1 ITS, No.7 EFTS, and No.2 SFTS. 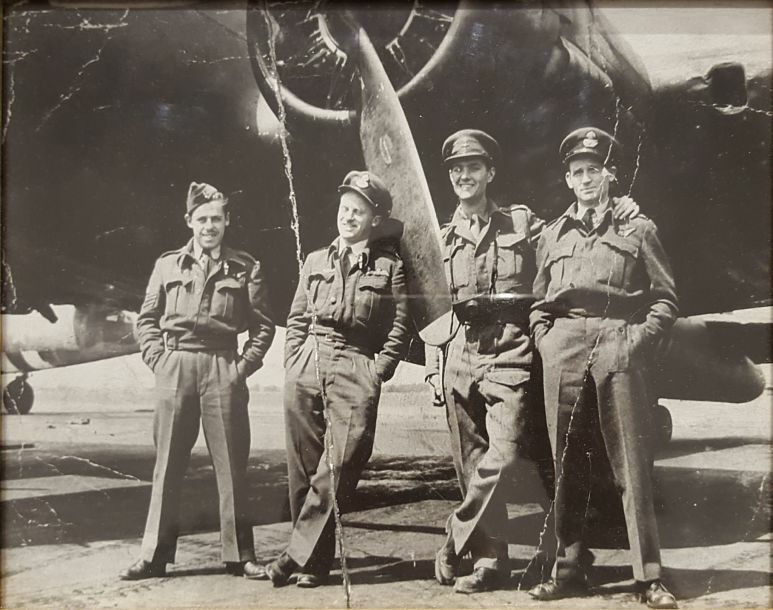 One night in July 1942, Warrant Officer Johnson and Sergeants Agg and McGowen were captain and air gunners respectively of an aircraft detailed to attack Saarbrucken. Before the target was reached the aircraft was engaged by a Messerschmitt 110. Sergeants Agg and McGowen met several attacks with resolute fire and succeeded in destroying the attacker. The skillful airmanship of Warrant Officer Johnson contributed materially to this success. Warrant Officer Johnson continued his mission, located his target and bombed it. These airmen have displayed praiseworthy determination to achieve their purposes. DFC Award effective 8 September 1942 as per London Gazette dated 29 September 1942 and AFRO 1653/42 dated 16 October 1942. Marsh arrived at the 214, threw his kit on his bunk, climbed into a Wellington for his first Op and never came back, he spent the entire rest of the war in a German prison camp. As a result, having few friends or shared experiences (other than his pilot) he went the entire rest of his life feeling like an outsider to the Squadron. Hardly surprising considering he was four years imprisoned and mere days on the squadron. He of course was not alone and this is why so many turned to the POW Associations, it was with other POW's they felt a bond and it was all they had. How fitting it is then that after so many decades has passed that Marsh would come to be founder of the 214 Squadron web site. 14 July 1941. While at 10,000 feet over the city of Bremen in Germany, BU-G was attacked by a german fighter aircraft who came from above and to the side. 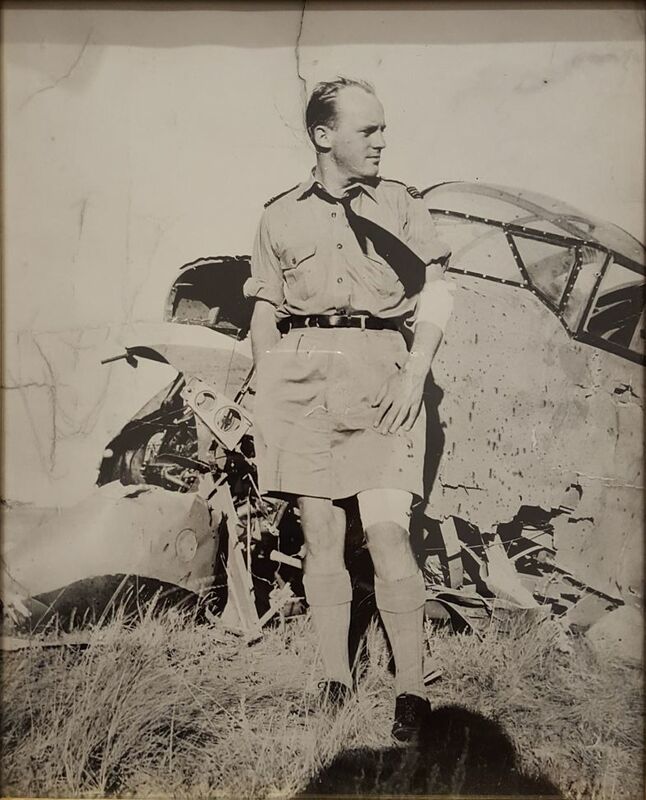 According to pilot Crampton, Marsh who was rear gunner at the time, calmly announced over the intercom, as if he were talking about the weather, "down the phones, we are under attack" and promptly sent up a hail of gun fire to meet his attacker. The German fighter raked the forward section of BU-G killing their second pilot Jenkins and the aircraft immediately exploded in flames. The rest of the crew managed to bale out safely with only minor injuries but Sgt Kent's chute caught and tangled on the tail of the flaming aircraft and he was pulled down with it to his death. All of the surviving members were captured by the germans, two of whom were sent to a german hospital and the rest off to prison camp where they spent the rest of the war. Johnny, with his wife, was a regular attender at Reunions until 2004 when age and ill health prevented him from coming. His story, "How I became an air gunner" was published in the Winter/Spring 2006 edition of the Nightjar. 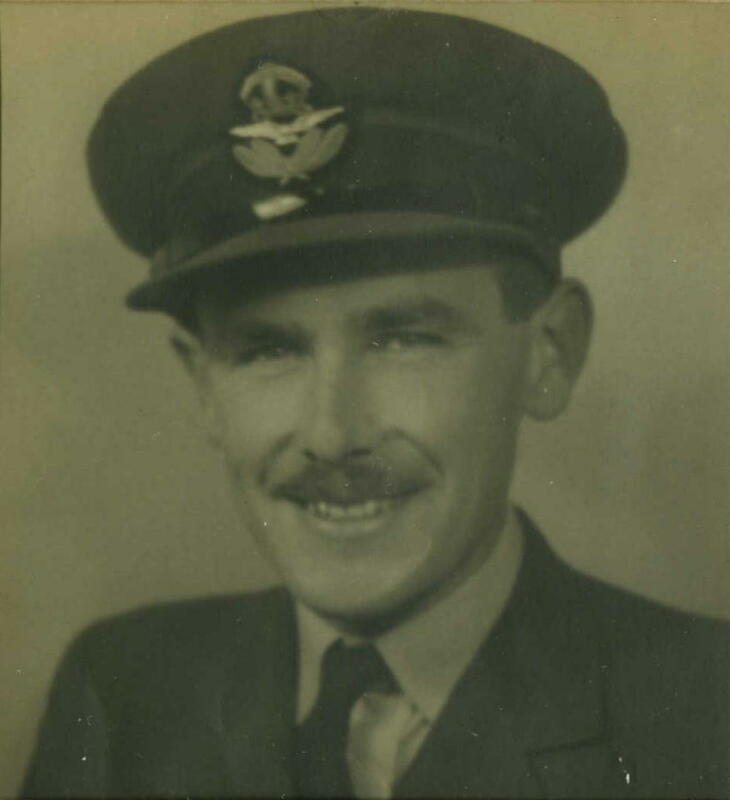 He joined the RAF in 1935 and trained as a medical orderly in the rank of ACl and ended the war as a Flt/Lt. with a DFC . He flew a total of 67 ops as a rear gunner (a few as mid-upper) with 214 on Stirlings and 15, 97 and 619 Squadrons on Lancasters. He was also credited with shooting down two night fighters. He was awarded the DFC on June 30th. 1944. At his funeral service on March 1st 2007 Norman Storey, a 214 Sqn.Assn. member and a fellow air gunner read out a tribute to Johnny and said he was a very courageous man in both war and peace and always cheerful whatever adversity befell him. At the beginning and end of the funeral service an organist played "Those Magnificent Men in their Flying Machines" and during part of the service the "Dambusters March" was played. Not listed on Squadron ORB for BK600 but listed on log book? Was also with 115 Squadron where he received the DFM recorded in the London Gazette on 15 June 1943. Named on the following Memorial : RUNNYMEDE MEMORIAL Panel 46. Son of Godfrey Jones, and of Jane Ellen Jones, of Llysfaen, Caernarvonshire. Son of Eric George and Matilda Emily Jones, of East Dulwich, London. Buried at NOORDWIJK GENERAL CEMETERY. Plot 6. Joint grave 2. Son of Robert and Elizabeth Jones, of Penrhos, Caernarvonshire. Buried in MANBY (ST. MARY) CHURCHYARD. Reference : Grave 9. Son of Alfred Benjamin and Jane Ann Jones, of Langley Moor, Co. Durham. Son of Edwin Charles Jubb, C.B., O.B.E., and Emily Herbert Jubb, of Farnham Common, Buckinghamshire. After his aircraft crashed into the North Sea his body was never recovered. Bertie's wife, Mary, died in May 2012.